Since he first got the job in 2012, Hairston has been trying to make drama more accessible for as many people as possible. In his first year of teaching at Hillview, he produced single-cast shows of “Ghost Train” and “Honk!” He produced this year’s play, “Diary of Anne Frank,” with a whopping four casts — two normal casts, a sixth-grade cast, and an understudy cast — in order to incorporate as many students as possible into the program. He has only recently been able to reach outside of the MPCSD and work with teachers in the RCSD to produce their own plays and musicals. Hairston believes that facilitating a musical would be beneficial to students, not only because it would “give them a stronger feeling of community at their school, and a sense of pride and accomplishment after the show is over,” but it would also help with literacy. In the 2015 to 2016 school year, 64.6 percent of the students in the RCSD were categorized as English Language Learners. Of that percentage, 60.8 percent of the students spoke Spanish at home. Two years ago, in his first attempt to bring drama to the RCSD, Hairston paid the licensing fees for a Spanish/English version of Disney’s “Aladdin,” with money donated by Hillview drama parents. Due to unforeseen challenges, the musical was turned into a vocal concert and was never performed in its entirety. This year, rather than purchasing the rights to a new musical, Hairston will be producing the Spanish/English “Aladdin” at Hillview. Although Hairston and the Ravenswood teachers are doing all they can, the program at Castaño Elementary and Willow Oaks Elementary is still just starting and is not nearly as expansive as the one in place at Hillview, leaving many kids entering M-A without access to a drama program. Although M-A’s drama program tries to include as many people as possible, ultimately some people are not cast due to the number of roles available in any given production. This obstacle can discourage new members of the drama program – particularly those who have never been through the audition process – and keep them out of the program. In order to combat the fears of students from the RCSD who first start performing at M-A, M-A’s drama program, led by Danette Bathauer Grinstead, recently hosted an advanced showing of M-A’s spring musical, “The Addam’s Family,” for Ravenswood kids interested in drama, followed by a question and answer session. Kids were allowed to comment or ask whatever they wanted about the show, or what it is like to be in drama. Many students were genuinely inquisitive about what it was like to be in drama and wanted advice from the older actors. Ultimately, producing plays and musicals is a costly endeavor, requiring licensing rights, costumes, sets, lighting, and a performance space — all things that M-A is incredibly lucky to have. 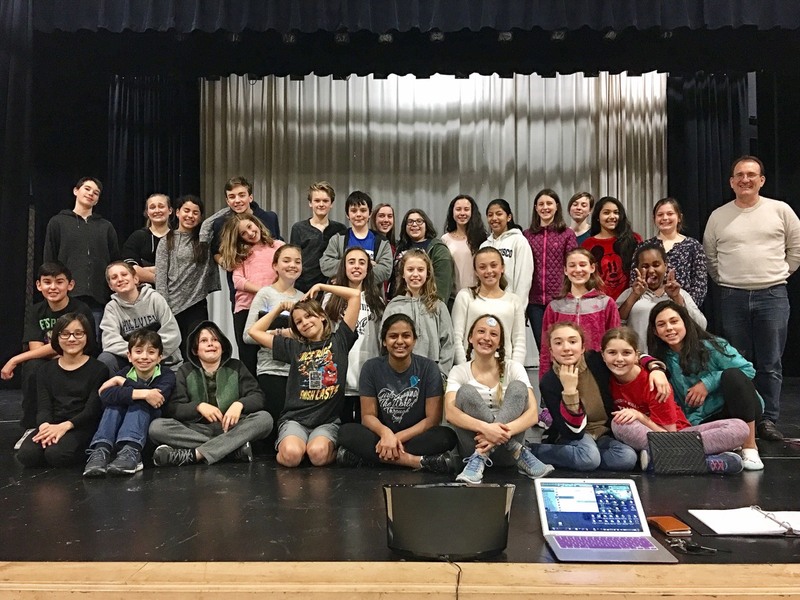 Yet, due to the limited access to drama in middle school, many students are finding themselves “locked out” of the drama program, because they started on an uneven playing field. Hairston, Bathauer, and the teachers in the RCSD have the right idea, but it will take much more time, effort, and money in order to right the inequality that is preventing students from pursuing acting as a hobby or even a career.